Advantage Aerospace is a company built on integrity, quality and accountability! Advantage Aerospace, LLC operates as a manufacturer of replacement parts for the aviation industry under FAA Parts Manufacturing Approval (PMA) authority. In 2006, the founders of Advantage Aerospace saw a need for quality, cost effective products for commercial airlines. Since then, the Phoenix based company has added many products to the line to better serve our customers worldwide. 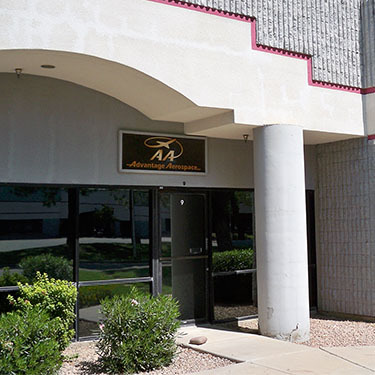 Advantage Aerospace prides itself in high quality customer service. As a customer driven company it is our goal to make sure all of our customers are our top priority. We support general aviation, military and commercial airlines worldwide. Advantage Aerospace is led by engineers and industry leaders with more than 100 years of combined knowledge and experience. Advantage Aerospace production standards are some of the highest in the industry. Due to our rigorous testing standards and practices, our parts are also known to outperform the OEM equivalent. Advantage Aerospace keeps an inventory of our parts so orders usually go out within 24 hours.